If your auto ignition, door or truck lock needs to be replaced, AMCO Locksmiths Perth are the expert locksmiths in Perth to call who will respond fast with all the necessary tools and equipment for a first rate installation. Our prices are affordable. AMCO Locksmiths Perth serves drivers within Perth and surrounding areas with first rate auto locksmith services. With one call to AMCO Locksmiths Perth you are assured a quick response from a licensed locksmith with years of experience to tend to your auto locksmith matters. 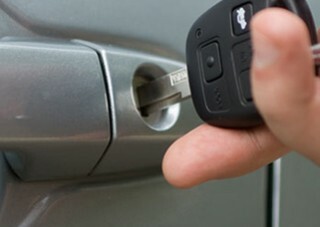 AMCO Locksmiths Perth are the locksmiths to call when you need a new key for your car! Our locksmiths mobile shop on wheels are fully stocked with inventory to provide you with new keys for your domestic or foreign vehicle. Whether your key is jammed in the ignition, broken or lost we can have a new one in your hand before the tension even begins to set in. Our key cutting tools and equipment allows us to quickly cut you a new key for your home, office or auto. Our locksmiths are trusted and have years of experience in the locksmith industry, focusing on precision and efficient services. When you need an auto locksmith Perth no-one can beat, you need AMCO Locksmiths Perth as we are the locksmiths you can count on for quality service. AMCO Locksmiths Perth has over 15 years of experience in Residential, Commercial and auto key cutting. Our technicians are fully licensed, insured and bonded and come to your location in their mobile shop on wheels, providing services that are the best rates in the industry. For quick response and quality service, give AMCO Locksmiths Perth a call today at 08 9444 2089. When you require an auto rekey, most often the requirement is urgent. AMCO Locksmiths Perth are expert locksmiths in Perth who provide Perth drivers with auto rekey services. AMCO Locksmith Perth have years of experience in the industry and provide rekey auto services on domestic and foreign vehicle locks. Whether you need a key for your door, ignition or trunk we can rekey your auto locks and have a new key in your hand in just a short amount of time at the best rates in the industry.